Motherhood Deleted: A Real "Resident Evil"
Some time ago, a video game was created called "Resident Evil." That game has been made into a series of financially successful horror films starring Milla Jovovich. As for anyone wondering what a grandmotherly sort such as I would know about this genre...well, I love it. In this genre, you usually have to sift through a lot of dross to strike gold, but there have been some shiny nuggets to enjoy. The story begins in a futuristic (but not too far in the future) Metropolis called Raccoon City which is owned by a large bio-engineering corporation which is under the protection of the government. Jovovich's character and her lover are both subjects of the genetic manipulation by that big business with no conscience. All this chicanery takes place in an elaborate facility beneath the main building of the corporation. In the story, the worst happens and there is an industrial accident in this buried laboratory. The biological agents are free to contaminate all who are there and they become ravenous, grotesque, flesh-eating zombies, even down to the guard dogs. Each bite to a human spreads the affliction. Jovovich is compelled to battle this menace, not remembering her own involvement as a lab animal for these villains. She is considered, with her superior fighting skills, strength and agility, to be a "success" for the corporation. Her lover is pushed even further into an unrecognizable mutation, huge, malevolent and violent. As the subsequent films emerge, we see Jovovich and the few human survivors fighting hordes of corporation zombies, vampires and other genetic mutants who wish to feed on the humans and capture Jovovich to turn her to their master plan. And, for those of us who love horror movies and do not take them seriously, a good time is had by all. BUT, as I opined in my previous post, there ARE monsters among us. Substitute social engineering for biological engineering and there you have it. 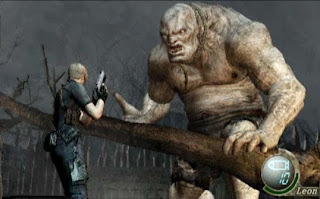 I like to see mothers and adopted adults who came out of the adoption fog as very like the heroine in "Resident Evil." We are in a battle to take down the very entity that made us what we are....angry warriors. We don't need special effects to see the spread of the virus of entitlement and baby-bartering. For every good beemommy who walks into the maw of the Industry, we get a Stepford Mom, spouting scripture, beaming in joy and farting rainbows about adoption. And, because human beings like to think as little as possible, they can spread their pastel poison at will. Add to that the Industry's Madison Avenue approach and the support of another evil....the religious right wing....and we are battling monsters in our own back yards. As in the films, for every one that is vanquished, two more take its place. I don't think that the people who create these games and films have to look very far for inspiration to add to their imagination. The monstrous nature of Big Business is becoming more and more a feature of our daily lives and it is something that is hard to combat. When it comes to Big Adoption, our weapons are knowledge, experience and the ability to see past the mirrors and smoke screens and into the reality of what is happening. Is it any wonder that I see Margaret Atwood's "The Handmaid's Tale" every bit as horrifying as any of the horror movies and books that I love? The Industry is a horror of the many-tentacled variety. The NCFA, the EBDI, the church-run agencies, the independent agencies and the elected officials who accept the gratuities of the lobbyists are all the arms that reach out and bring the victim into the hungry maw of the monster. The monsters look just like you and me. They are, to all appearances, normal human beings. What sets the adoption facilitators and promoters aside is that, somehow, they have lost their compassion and had their vision skewed. We are not seen as mother and child with a sacred and natural bond. We are seen as money to be made, mistakes to be corrected, and a chance to create a society in the image of their imagined Utopias. The adopters seem to be fitted with an entitlement gene that assures them they are more deserving of a child than that child's own kin or even country. At the end of one of the RE films, Jovovich's character is forced to battle her unrecognizable lover, now a killing machine of flesh and cybernetics. At the climax of the battle, a tiny light of humanity is seen in his eyes and he refuses to destroy his former love of his human life. I keep looking for that light in the eyes of the Industry and its adherents. So far, I haven't seen very much of one. But I keep hoping. The killer of the whole thing is that a lot of our children are the monsters. They don't even really know how they got there! Do you ever stop bashing adoptees, Lori? I spend so much time online defending the rights of first mothers and then find..."a lot of our children are monsters." Both mother and adoptee are adversely affected by the unnatural nature of the monster. Yes, there are adopted people and mothers who are angry, disrespectful and take their frustrations out on each other. I'm wondering if this is what Lori meant. An adoptee or a mother in denial is a difficult creature to understand.